Beto O'Rourke has seen his stock fall in the last month. He’s also been a bystander as other big names like Sens. Elizabeth Warren (D-Mass.) and Kamala Harris (D-Calif.) have entered the race. While other would-be candidates including Sens. 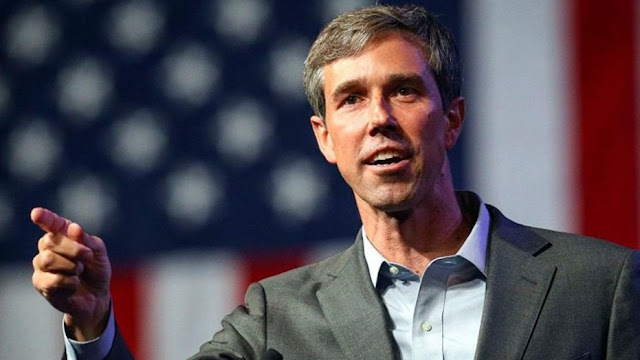 Amy Klobuchar (D-Minn.) and Michael Bennet (D-Colo.) have been burning up the phone lines and participating in meet and greets with prospective donors, O’Rourke hasn’t gone through the machinations candidates typically participate in. To be sure, it’s still early in the cycle and the first votes in the 2020 nominating contest won’t be cast for another year. Hillary Clinton, the 2016 Democratic nominee, didn’t announce her campaign until April 2015. John Kerry, the Democratic Party’s 2004 presidential nominee, waited until September 2003 to declare his bid. But Warren, Harris and Sen. Cory Booker (D-N.J.), who entered the race on Friday, have been seen as 2020 candidates for years. O’Rourke only began floating the idea late last year after losing his Senate bid. The Texas Democrat’s 2018 Senate campaign against Sen. Ted Cruz (R-Texas) was powered by a record $80 million in contributions, including tens of millions in small-dollar donations given through ActBlue, the Democratic Party’s online fundraising platform.